@OnMedia: The ad network is dead. Long live ad networks. Publishers and agencies often have a hate-hate relationship with advertising networks. But as much as ad sellers might hope, it doesn’t look like networks are going away any time soon. In fact, according to Adify study released today, ad network adoption is up 24% since May of 2008. At during “The Future of Ad Exchanges & Networks” panel at the OnMedia conference in New York on Tuesday, it became clear that ad networks are far from dead. And while they may not be called ad networks next year, the technology will continue to exist and thrive. increase over the past 18 months. 15.2% of respondents spend $5-20 million per quarter, and 5.9% spend more than $20 million per quarter on online advertising. But that doesn’t mean that ad networks can rest on their laurels and wait to rake in cash. 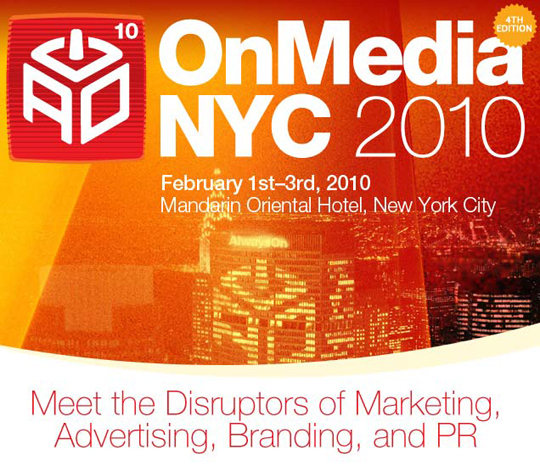 According to the OnMedia panel, networks are in danger of becoming outdated. It used to be that ad networks took in ad dollars and delivered ROI metrics, but as the online advertising ecosystem gets more complicated — and advertisers and publishers become more adept at navigating it — only those ad networks that adapt will survive. Amiad Solomon, the CEO of Peer39, thinks that for large large publishers, “whatever they can sell directly, they should.” But the technology that has been popped up to sell remnant and non-premium advertising is not going anywhere. it still comes back to that age old term: scale.